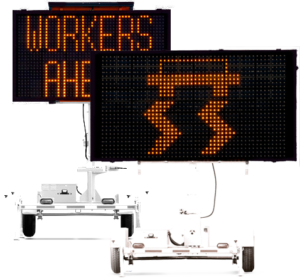 ATS speed and message trailers add mobility and flexibility to your traffic management toolbox. 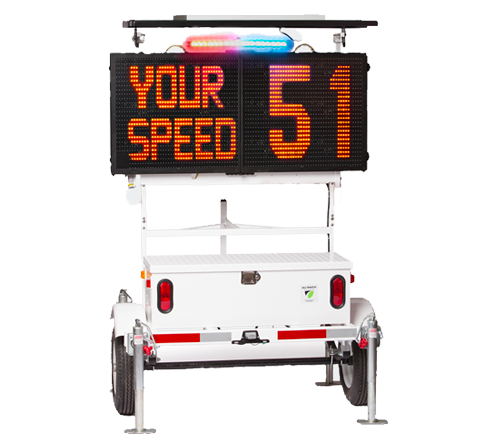 Our sturdy, durable sign trailers allow you to use your radar speed displays and variable message signs wherever and whenever you need them. Available with ALPR camera. 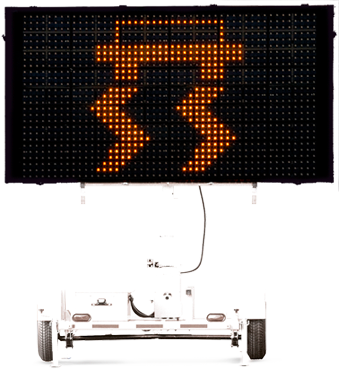 The portable ATS 5 speed trailer is compatible with SpeedAlert radar speed displays and the InstAlert 18 and InstAlert 24 variable message signs, for situations when trailer-mounted equipment is the best option. Optional red and blue strobe lights are programmable. 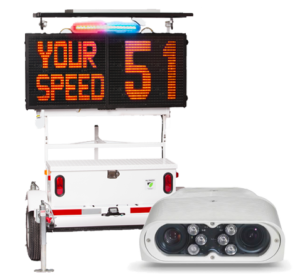 Power your ATS 5 speed trailer with ALPR intelligence. 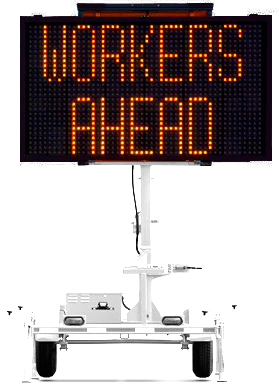 Use with your ATS radar speed display or variable message sign, or with only the concealed automatic license plate recognition camera (ALPR). 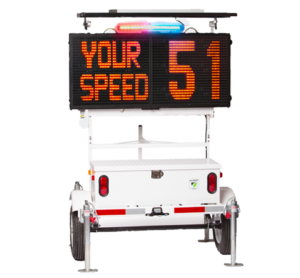 Two large-format speed and message trailers that provide sturdy mobility for your InstAlert large-format message signs for high visibility deployment. We also offer the ATS 3 Trailer, compatible with Shield 15, SpeedAlert 18 and InstAlert 18. View ATS 3 Specification Sheet.